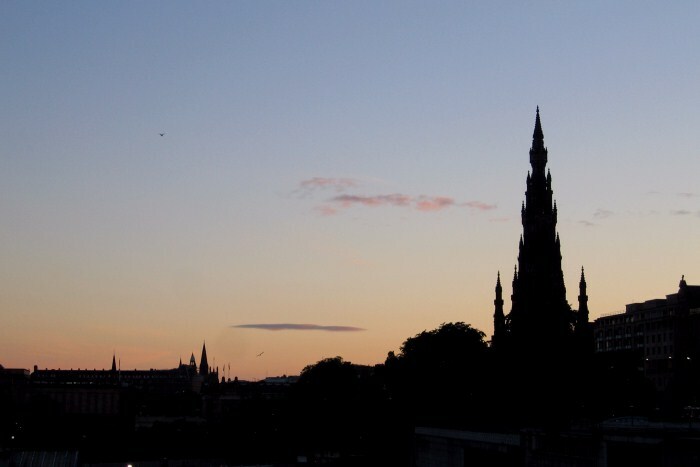 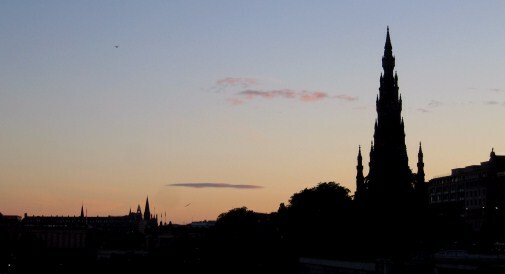 Auld Reekie, a city of a thousand spires. 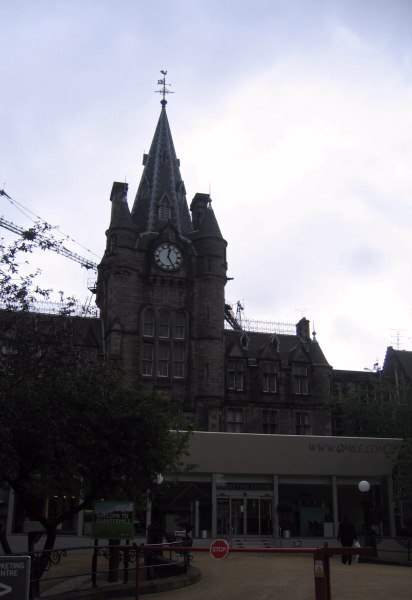 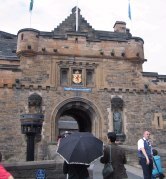 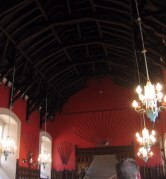 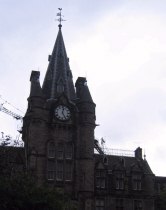 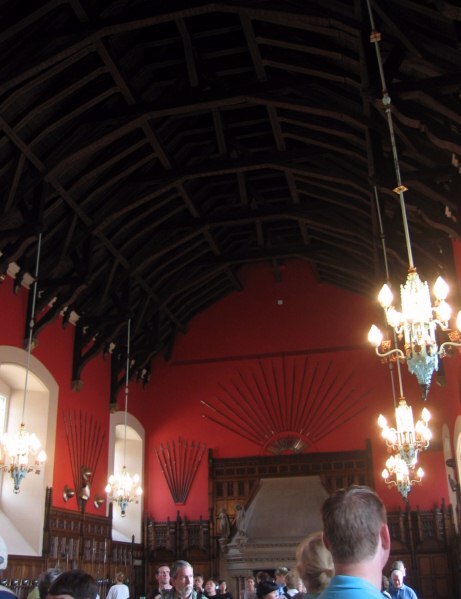 I made my first visit to the capital of Scotland in July 2007. 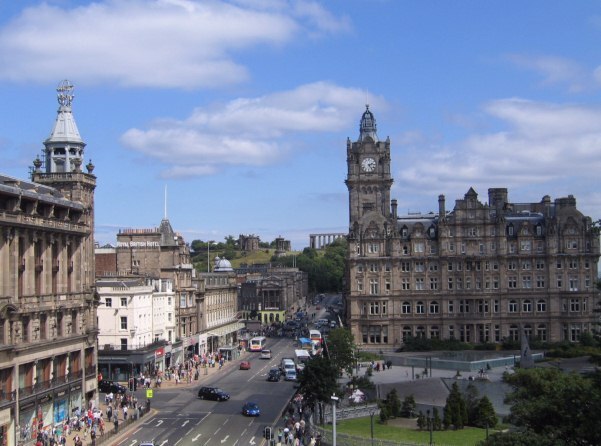 Hills do make for beautiful cities. 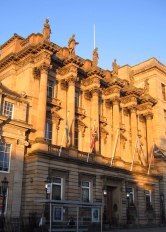 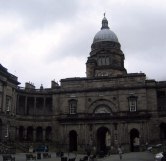 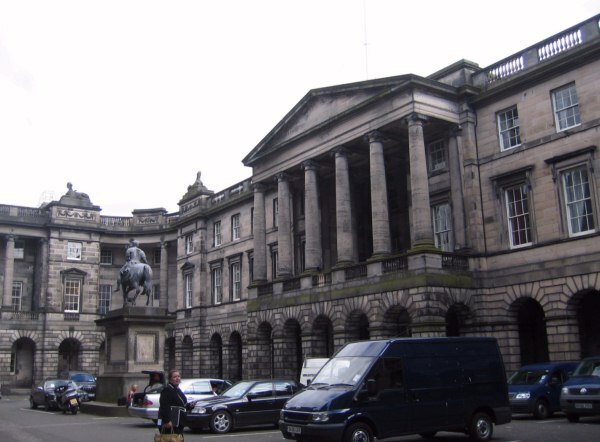 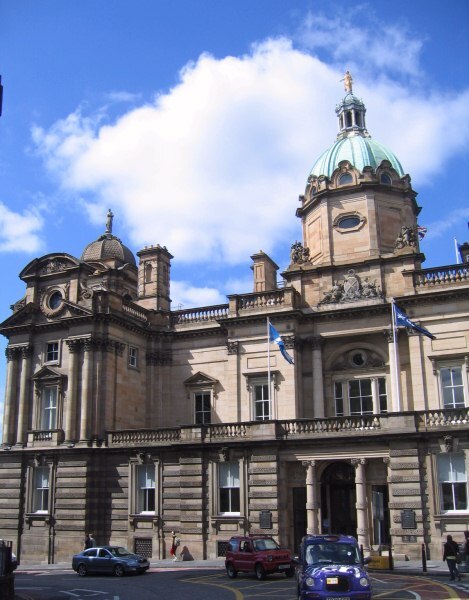 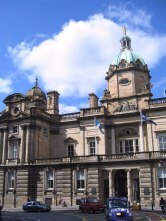 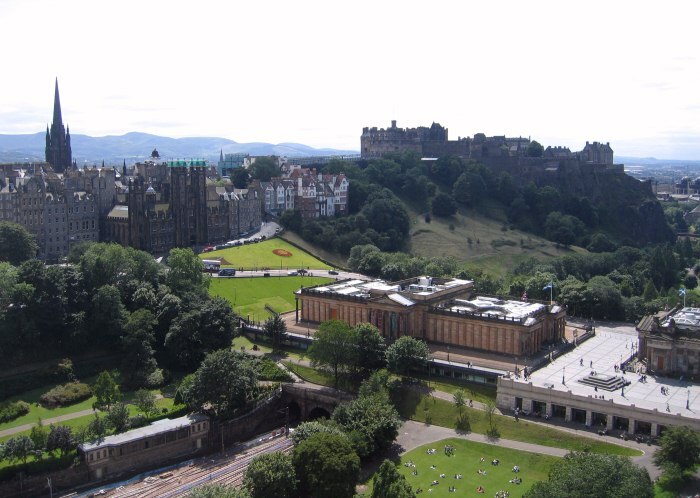 Edinburgh is home to two parliament buildings. 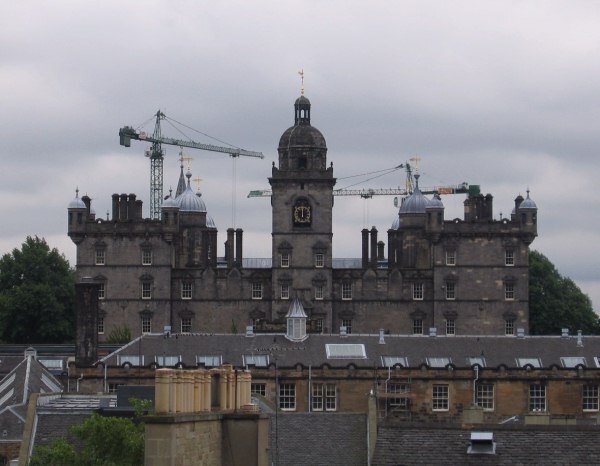 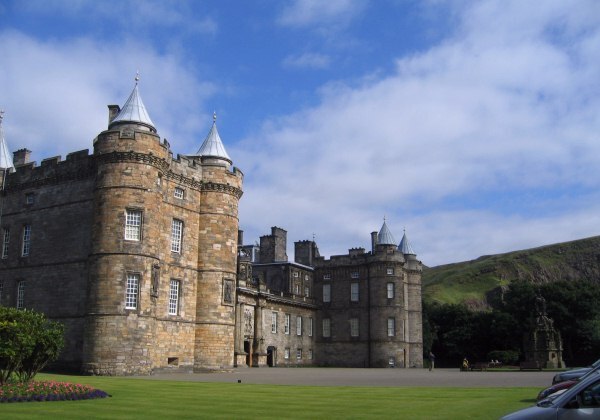 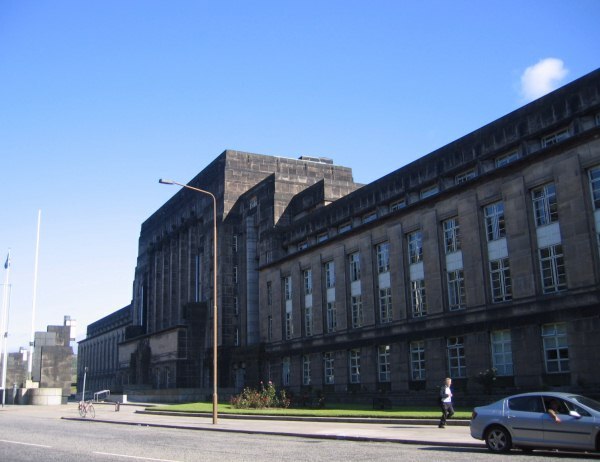 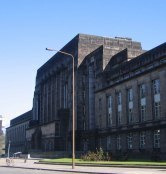 The first is the original building dating from before union with England, and the second is a concrete pile next to Holyrood Palace. 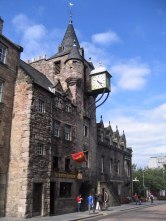 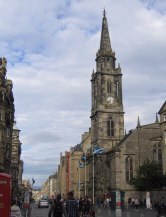 Both lie on the Royal Mile, the axis of the Old Town. 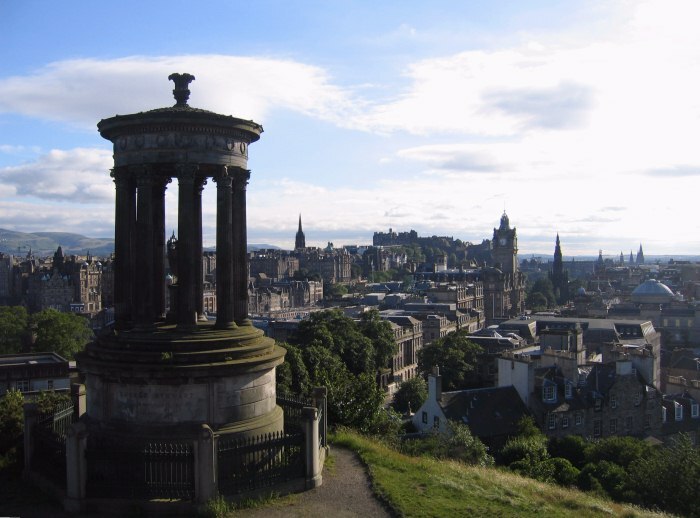 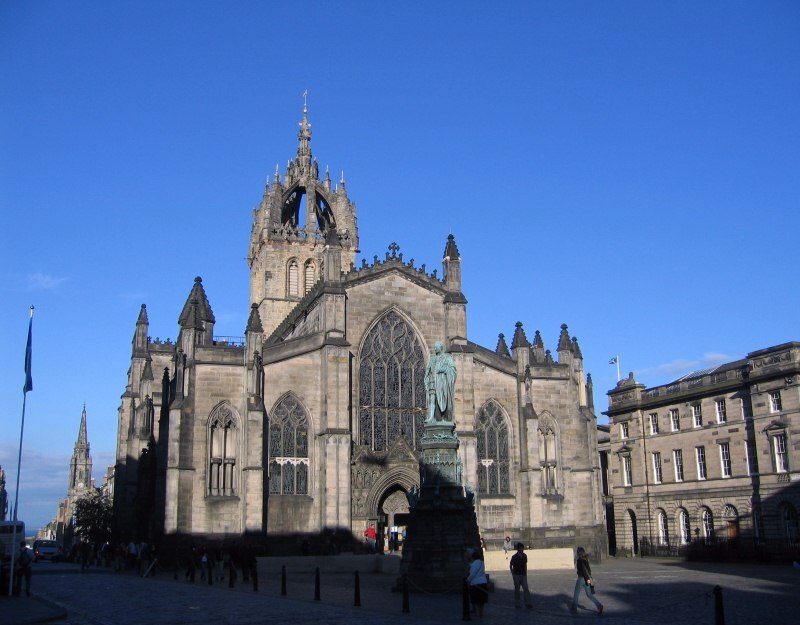 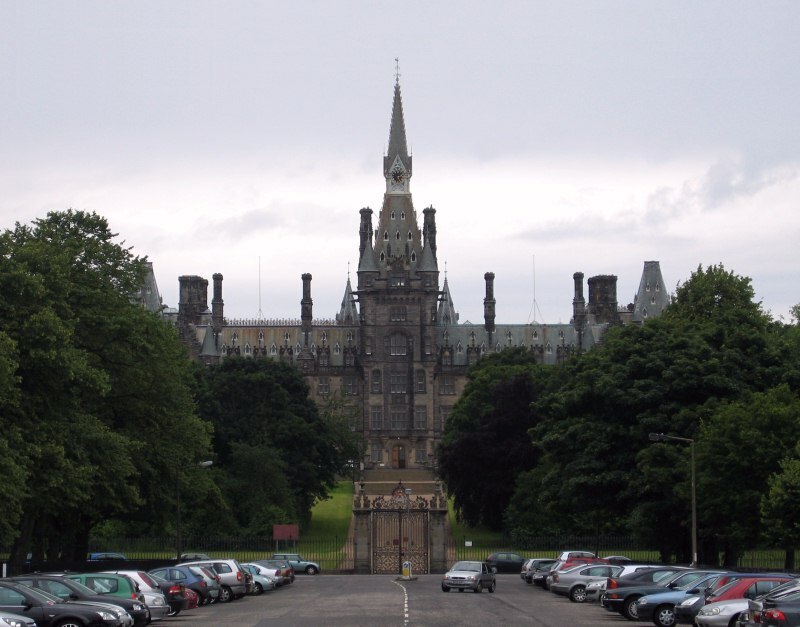 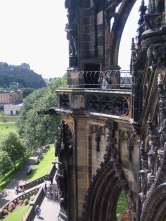 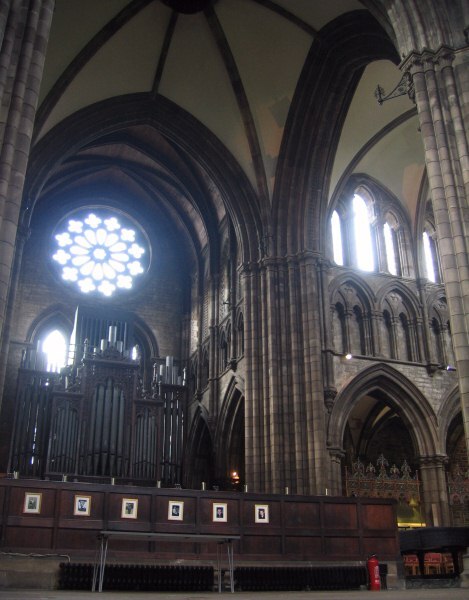 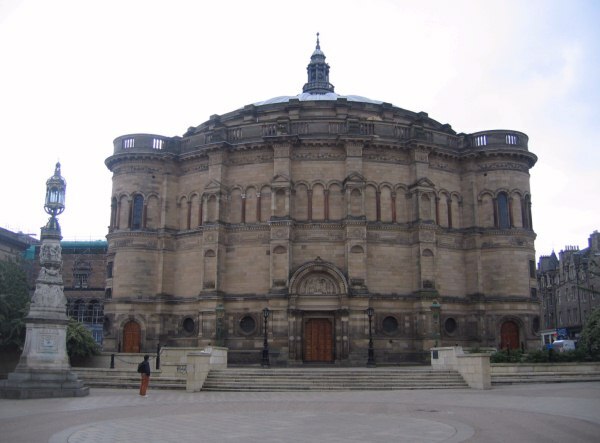 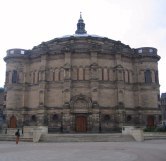 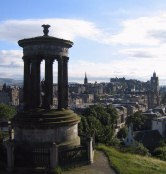 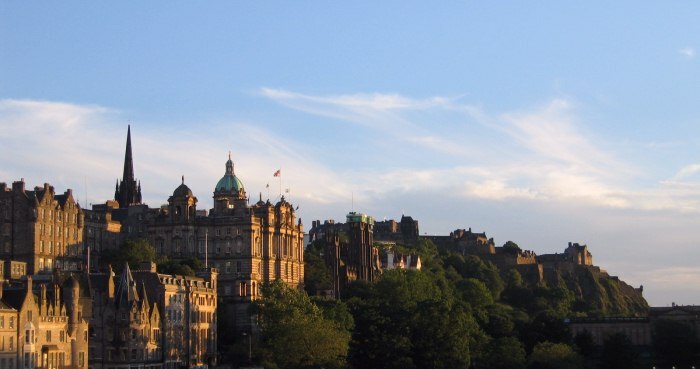 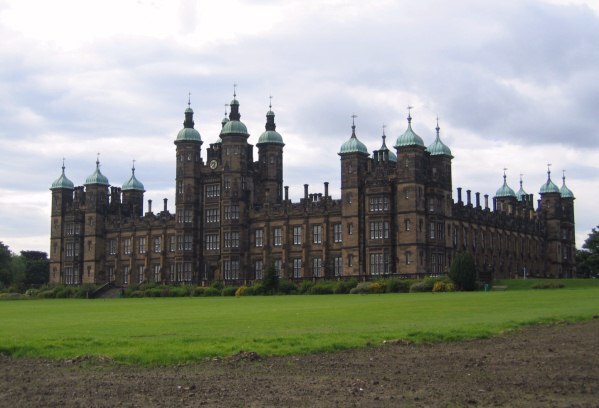 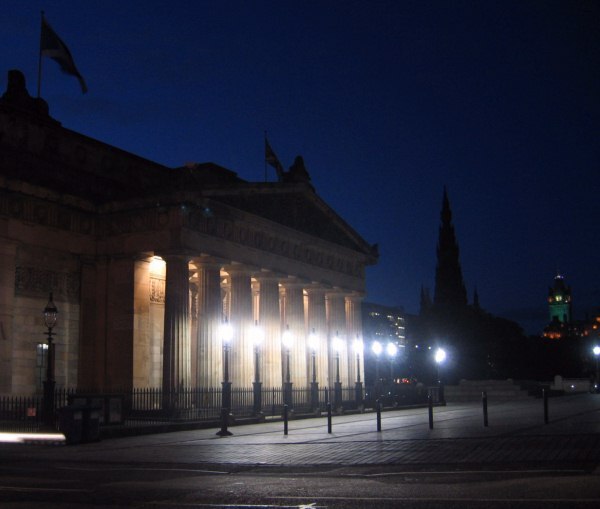 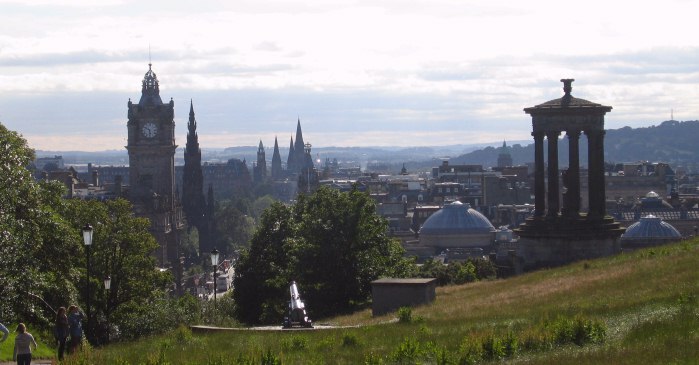 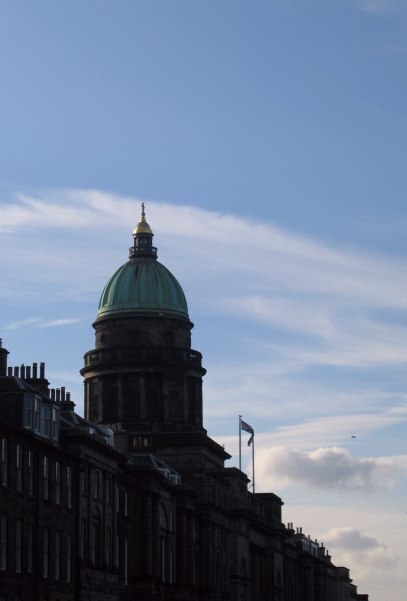 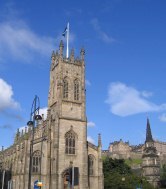 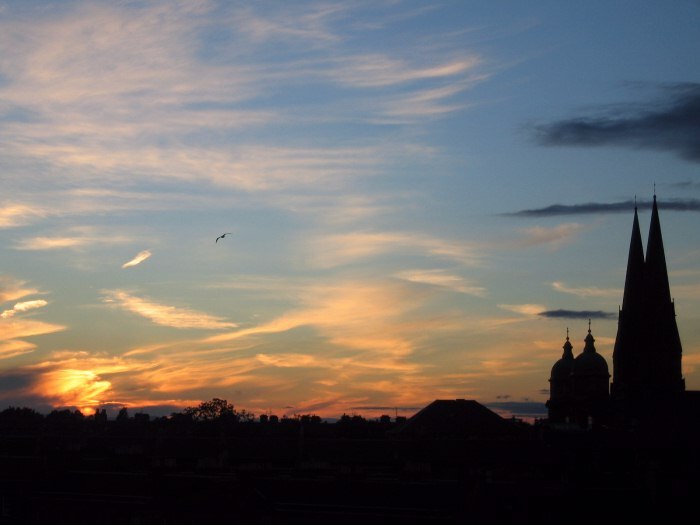 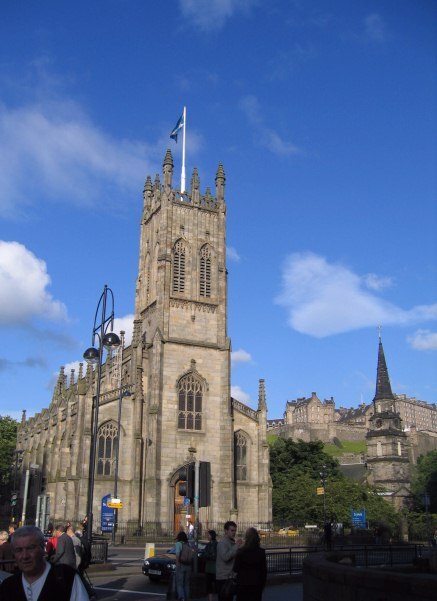 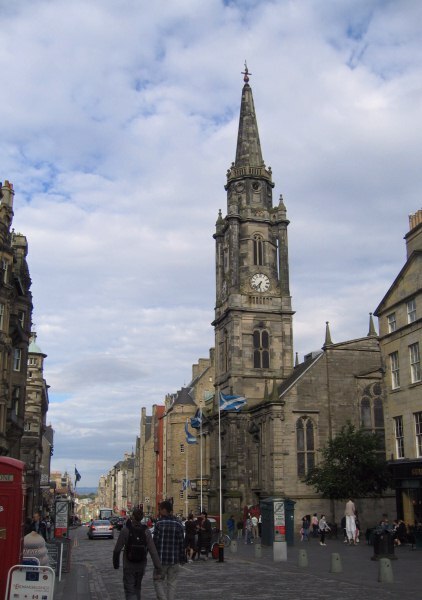 Called "the Athens of the north", Edinburgh has a harmonious mix of classical and gothic monuments. 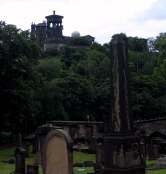 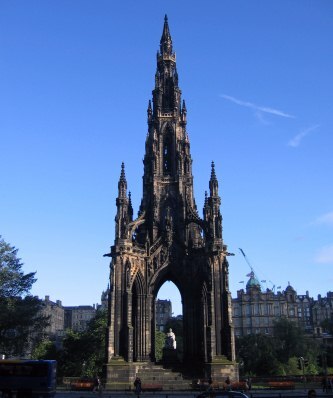 The most prominent of these is the monument to Sir Walter Scott. 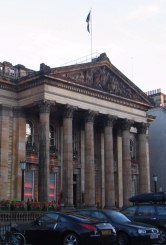 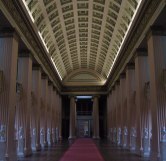 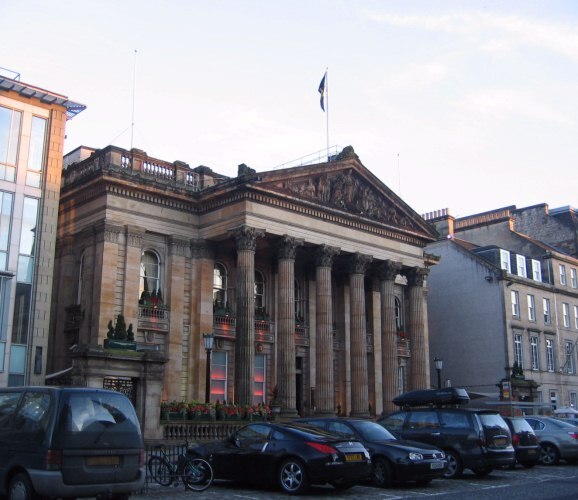 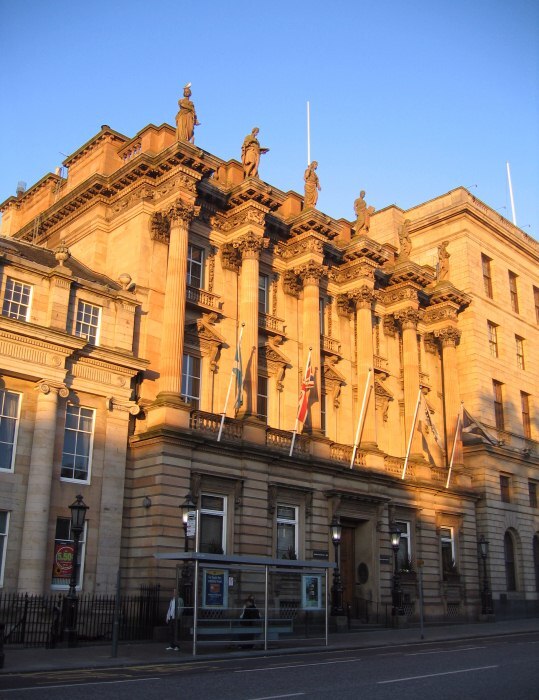 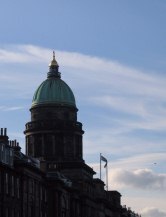 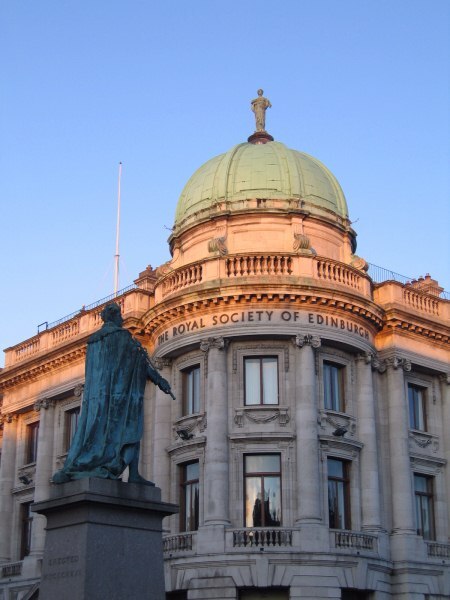 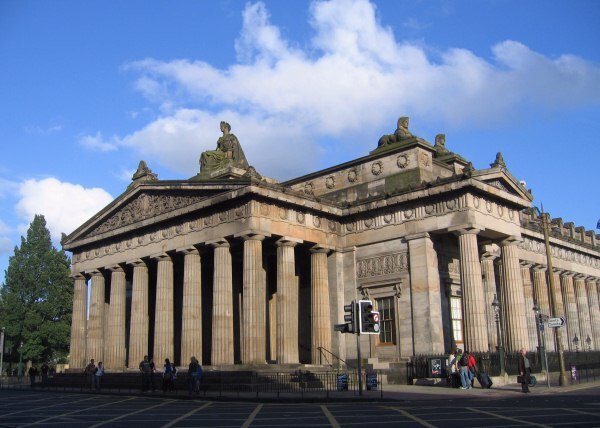 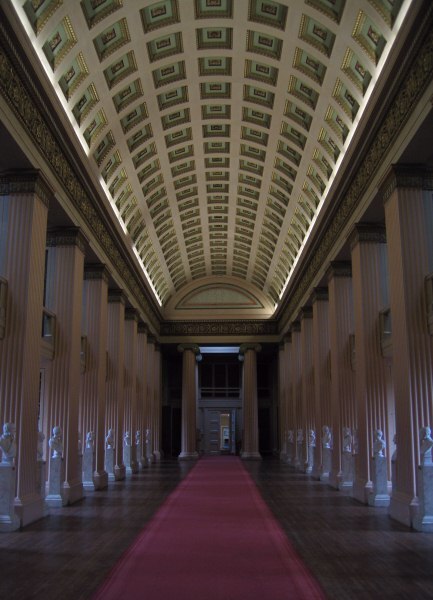 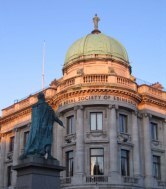 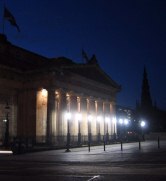 Edinburgh has a set of museums and galleries to rival London. 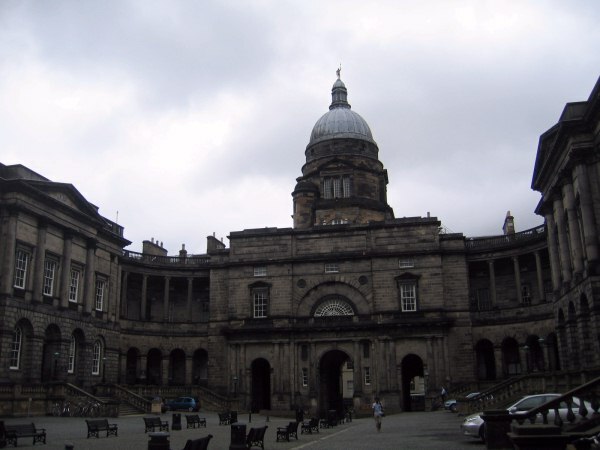 And a large number of impressive academic institutions. 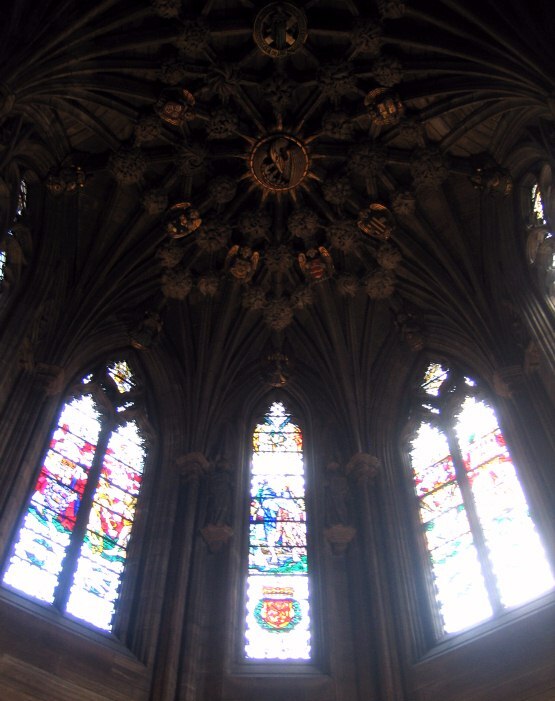 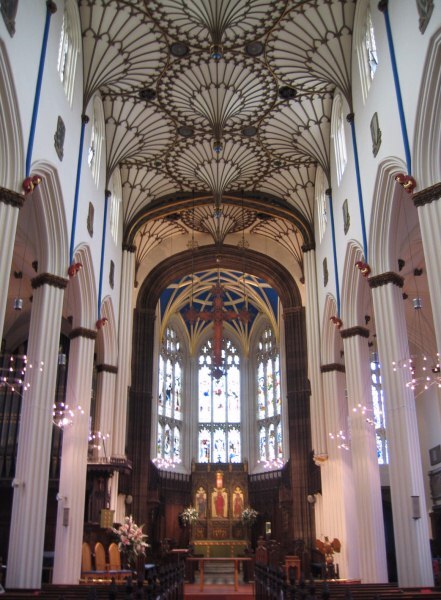 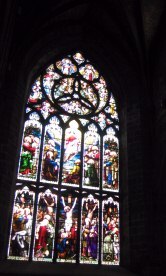 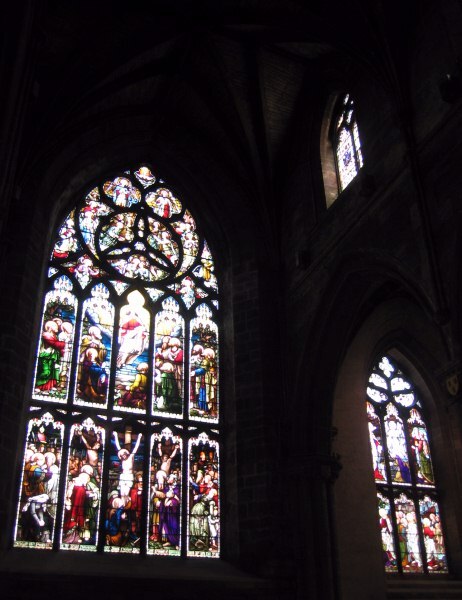 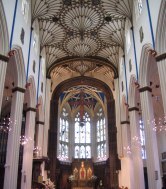 St. Giles' Cathedral is home to some lovely stained glass and the magnificent chapel of The Order Of The Thistle, dating from 1911 (by Sir Robert Lorimer). 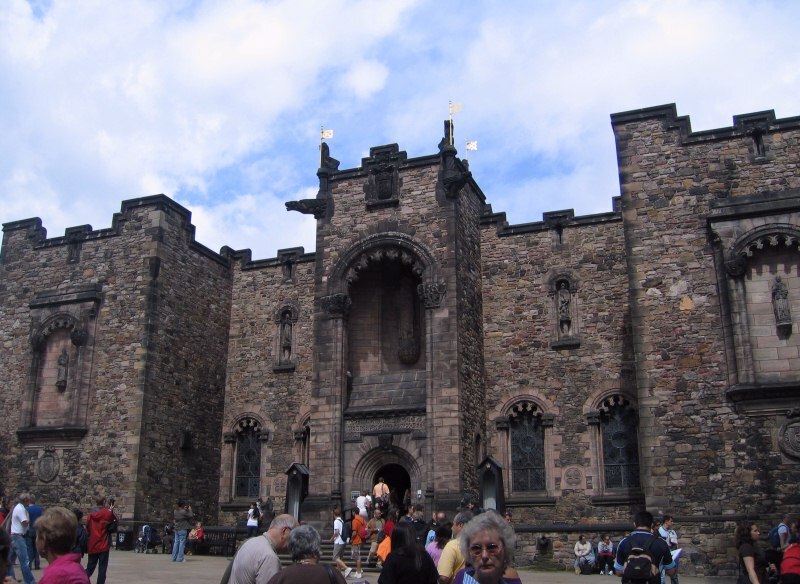 It is supposed there has been habitation on the site of the castle for 3000 years. 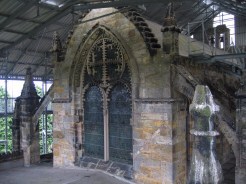 The oldest remaining part is St. Margaret's Chapel dating from around 1100. 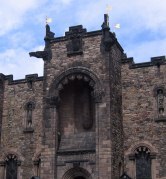 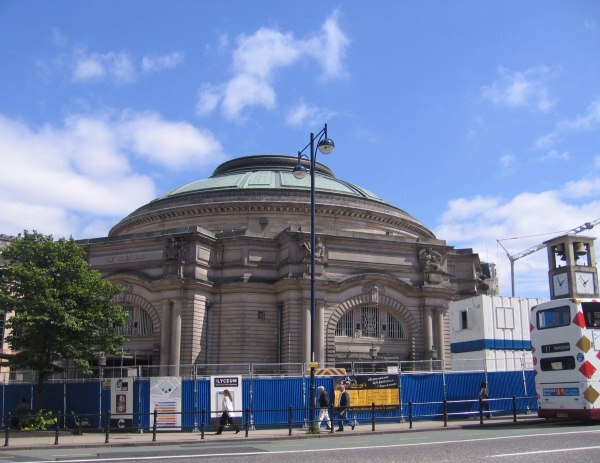 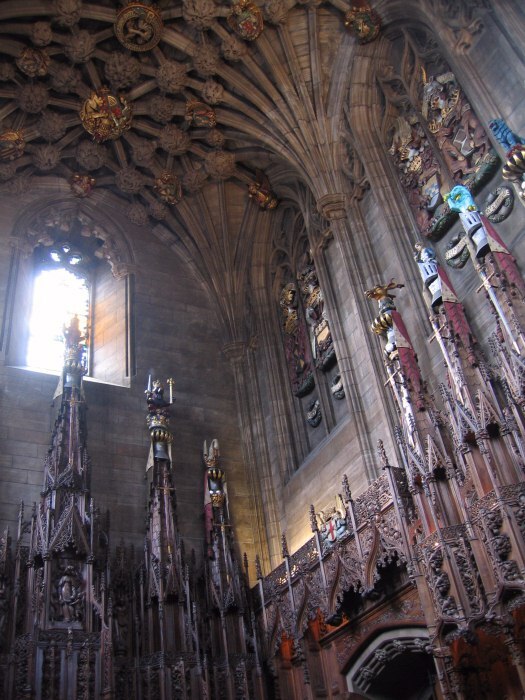 The War Memorial, by Sir Robert Lorimer (1927), is a masterful juxtaposition of classical and gothic features. 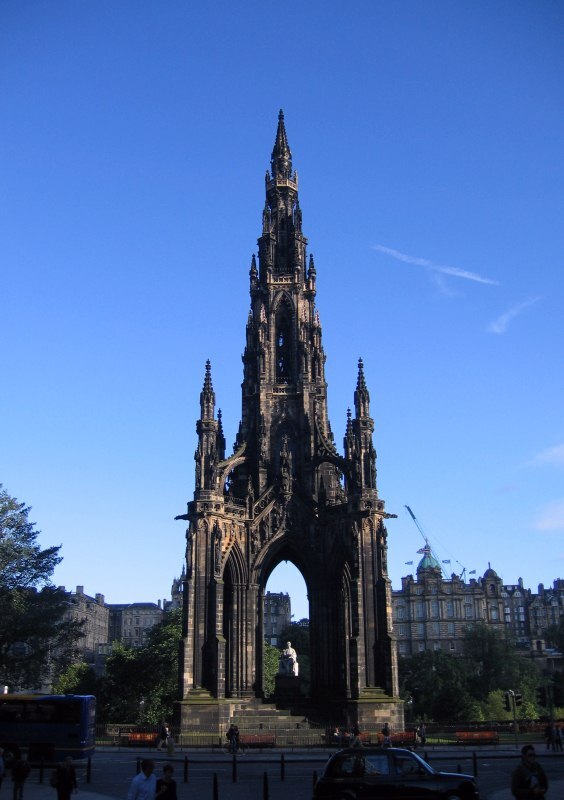 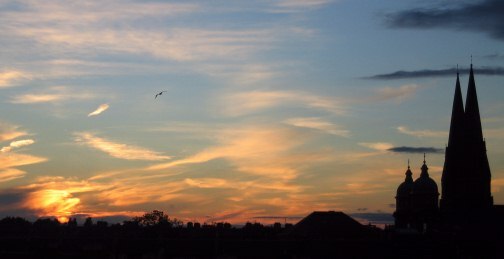 It is both beautiful and impressive, and yet remains sombre. 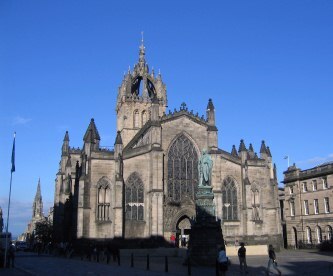 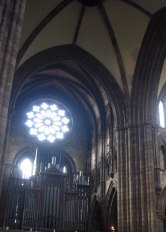 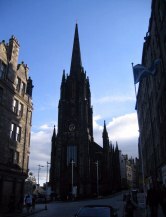 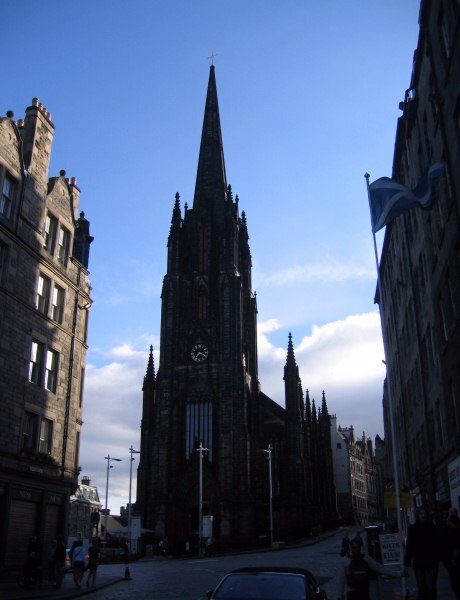 Edinburgh has at least two cathedrals. 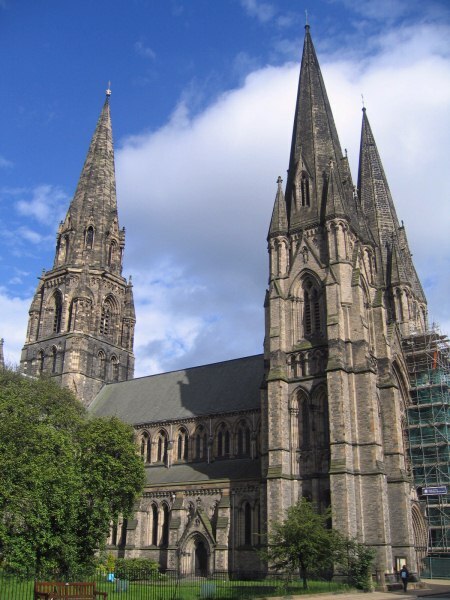 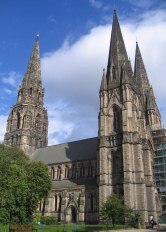 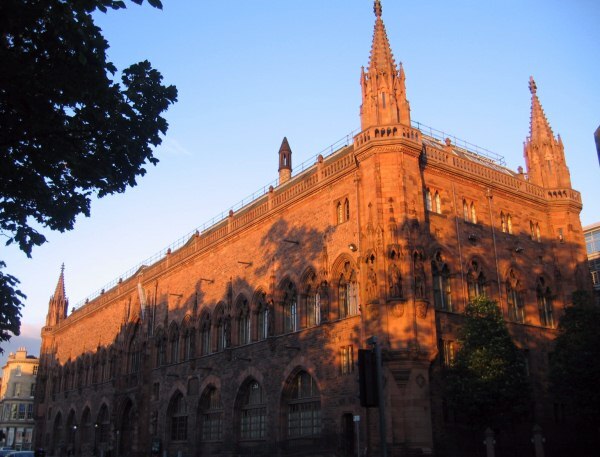 St. Mary's is by George Gilbert Scott. 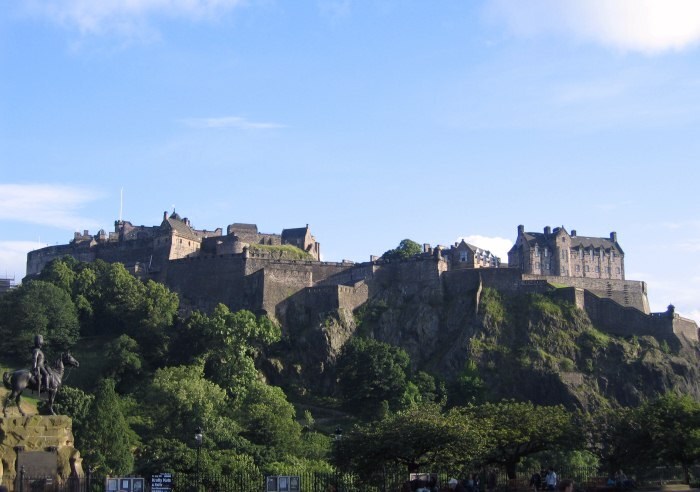 There many hills in Edinburgh, not least that of the Castle and Arther's Seat. 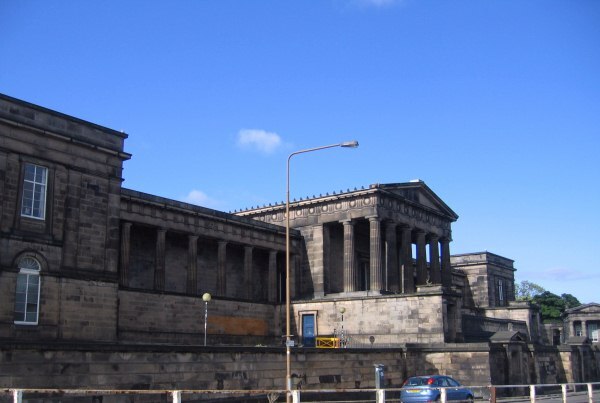 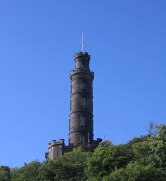 Calton Hill lies at the end of Princes Street (the main thoroughfare of the New Town). 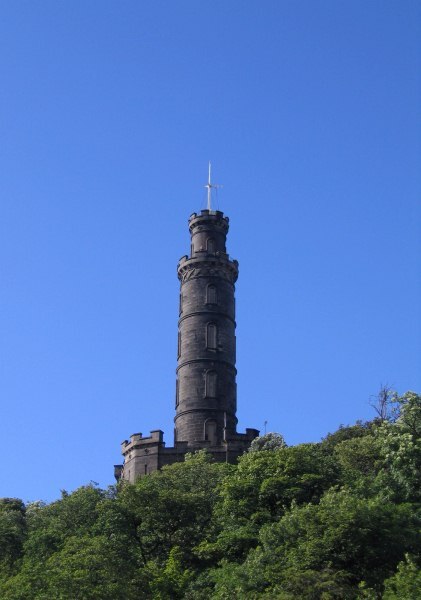 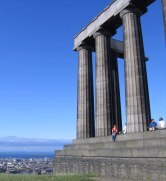 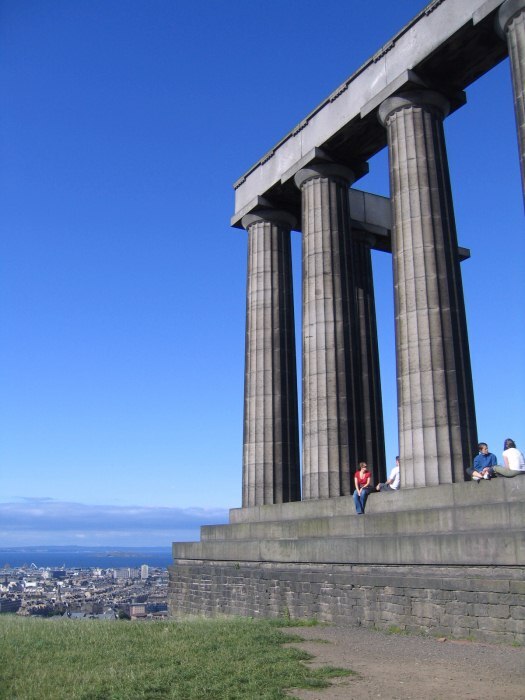 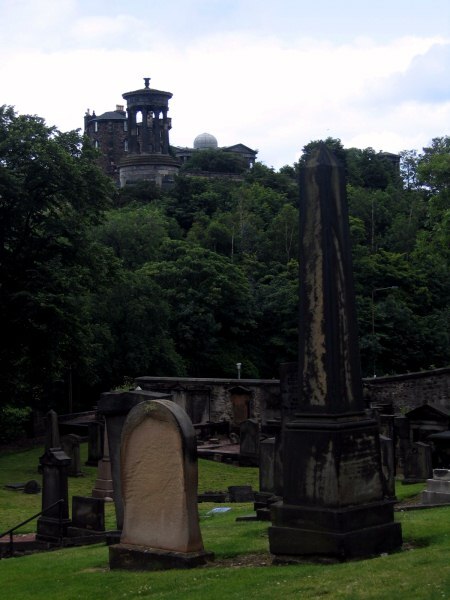 Calton Hill is a little like Edinburgh's acropolis, with its various "ruined" monuments. 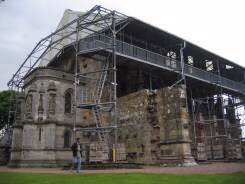 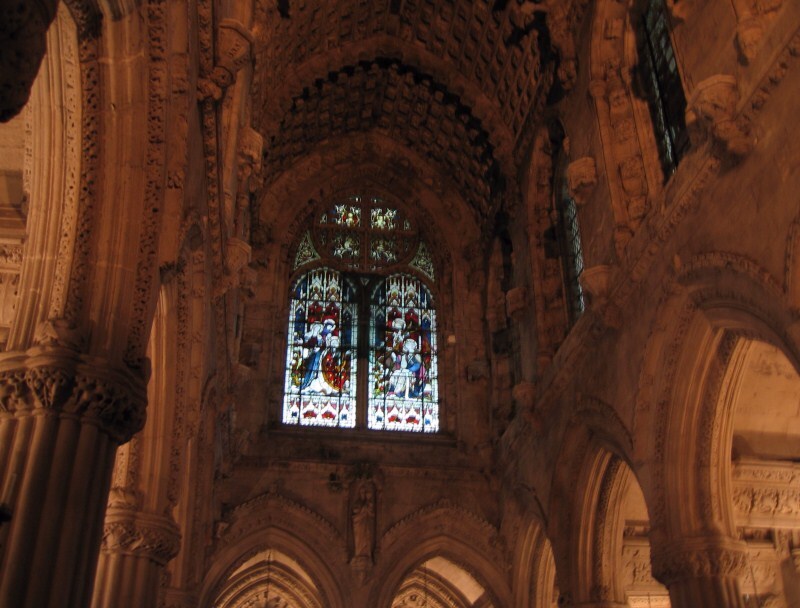 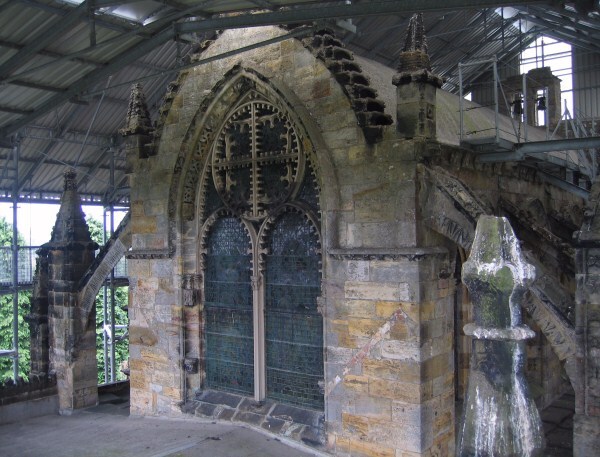 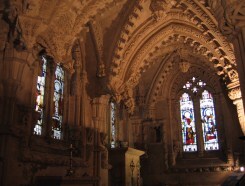 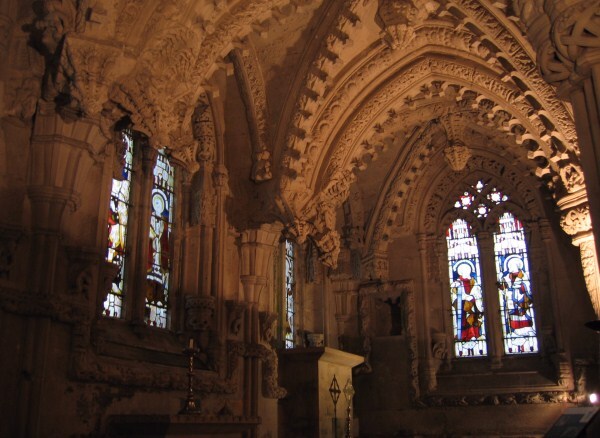 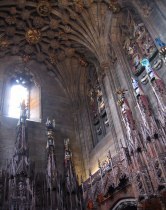 In 2008, we went on a little adventure to see the mysterious Rosslyn Chapel.